To see the latest additions to our concert choir and orchestra gowns, look for items marked "New"! 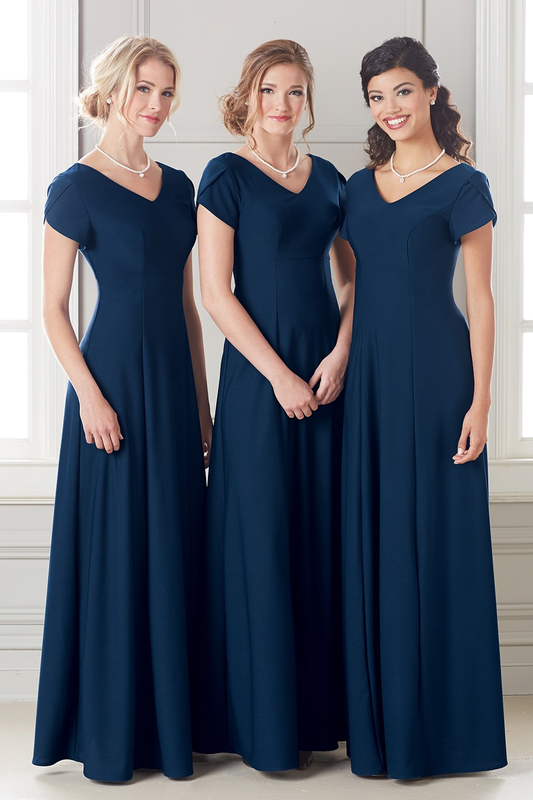 We offer formal concert dresses for the adult and youth performers in both school and community choirs, band/orchestra and youth concert groups. Select from our wide variety of performance dresses in long, three-quarter, and short sleeves options. 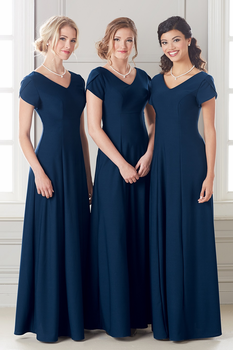 Formal length, black, knit, concert dresses appropriate for church and college performing individuals allow for easy movement and travel well.